As our film opens TONIGHT at 3 Laemmle's locations in Los Angeles, the Monica Film Center in Santa Monica, Town Center 5 in Encino and Playhouse 7 in Pasadena (get tickets here: https://www.laemmle.com/films/42098 and use promo code: lovestory for a discount), our #ClassicFilmFriday story is something uniquely Hollywood. In 2004, the long-awaited sequel to the Dreamworks' animated hit Shrek was due to be released. Directed by Andrew Adamson, Kelly Asbury and Conrad Vernon, Shrek 2 went on to be the highest grossing film of the year. While the original film did not feature parents-in-law for Shrek and Princess Fiona, this family component would be incorporated into the storyline for Shrek 2. At the time, Lillian was working on the Dreamworks lot in the research library and Harold, though retired, often accompanied her to work. "They got to this point where they were the center of knowledge and friendship and family. They treated everyone like they were their kids and everyone felt like they were their kids. The group that was doing "Shrek," they had characters in their story that were the king and queen of this land that they were from. 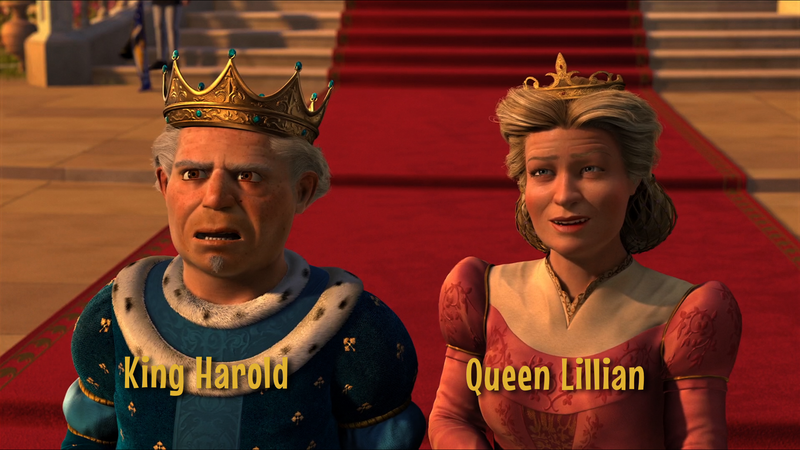 They decided that they ought to be named Harold and Lillian, so they actually talked to their director and the writer and they got that changed, so in the movie, when you see "Shrek 2," you're seeing King Harold and Queen Lillian, and that's the Harold and Lillian who are known so well from the research library. One of the artists who was working over there even did a painting of the two of them so that you can recognize them. You could see that it was Harold's face and you could see it was Lillian's face," said Norm Newberry. "When Shrek 2 came around and Harold was too sick to go to the company screening, the next day all the young people filed into my office and said, 'You and Harold are Shrek's mother- and father-in-law in the movie.' I said, 'What? They said, 'Yes. They named King Harold after Harold, and they named Queen Lillian after you.' I said, 'That couldn't be. Who did this?' And they said, 'We don't know. Maybe the director.' So I called the director Kelly Asbury and I said, 'Did you do this? Did you name the king and queen after Harold and me?' He said, 'Yes. We wanted to make you two immortal. Forever. You're going to live forever.' I said, 'Thank you so much. What a lovely honor.' They sent me a beautiful note from the publicity department. I still have it. It was really lovely.That was the story of how we became Shrek’s in-laws."